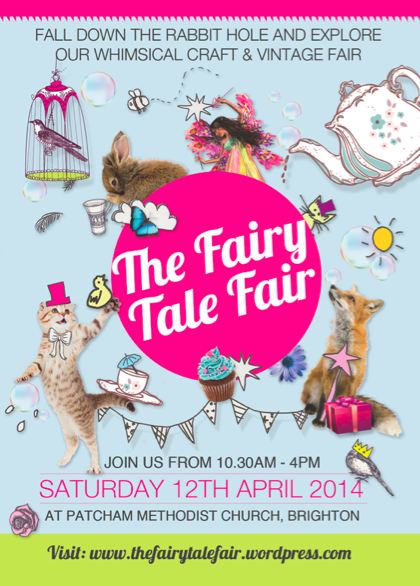 The Fairy Tale Fair- a whimsical themed Brighton based craft fair- is this Saturday 12th April! It will feature over 35 local designers and makers selling their wares, including many from the Brighton Etsy Team: I Like Cats, Cat-a-Cake Creations, Jessie Jumbles, Claudia Made This, The Silver Hut, Crowns from Ashes, Karen Rao, Yellow Bear Wares and many many more! 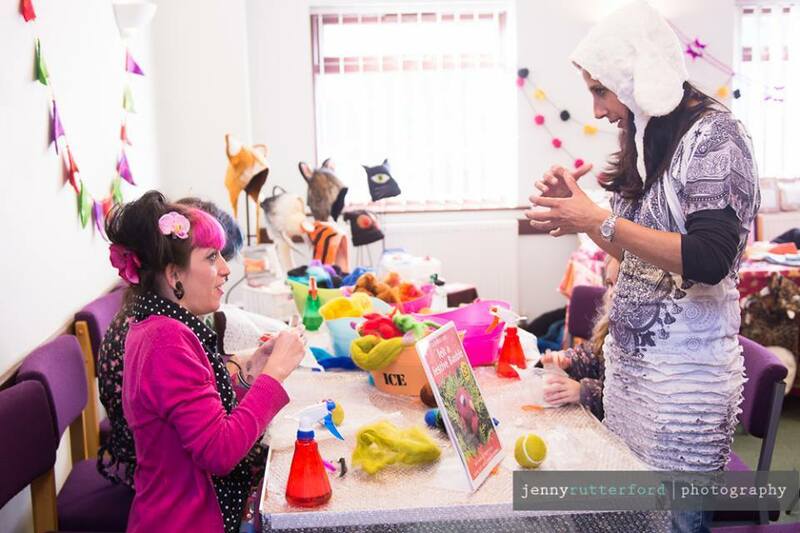 Its a great opportunity to meet Etsy shop sellers in person and their products too! As well as handmade crafts, vintage items and Easter fun there will also be plenty to keep the whole family entertained with craft workshops for all ages, amazing cakes and treats in our vintage tearoom, face painting, and a charity Easter hamper raffle for The Martlets. Please pay them a visit, show support for the stall holders and get some great one off Easter gifts you won’t find on the high street. 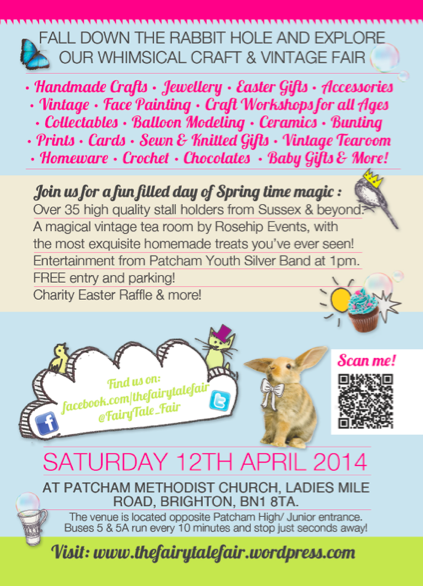 The Fairy Tale Fair is open 10.30am – 4pm, Saturday 12th April, Patcham Methodist Church, Ladies Mile Road, Brighton. FREE entry! Visit their blog for all the details. You can also find them on Facebook. Previous Post Brighton Etsy Craftivists Charity Raffle!